Marketing is a big, vague word that that can either make your head spin or give you heart emoji eyes. Every business has a different relationship with marketing — and that’s totally ok! Whether or not you enjoy working on and delegating marketing tasks, you should consider leveraging your local marketing channels. Local marketing creates a strong foundation so that your local prospects can easily find you. Also, local marketing is fun! 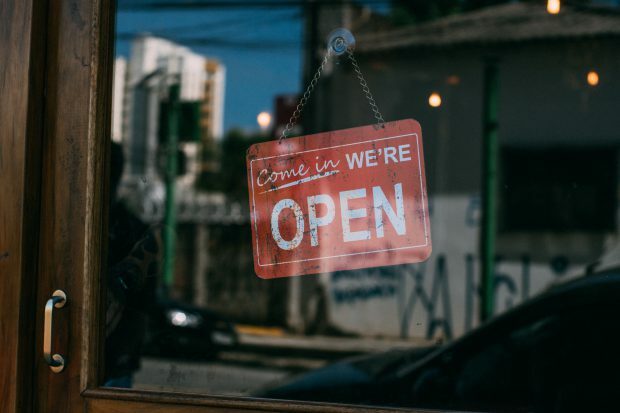 It’s a way to connect with your neighboring communities and meet other local businesses and potential new customers. Even though the internet is a vast, big place, local marketing still has its own little corner! A great place to start is creating a Google My Business profile (GMB) for your business. This profile is a free, (whoot!) and it allows you to provide all your business info — think name, address, phone number, hours, website, business description — as well as images. Your customers can also leave reviews, which is a great way to show prospects that you are well liked! Geo-targeting, also known as local targeting, is an online tool that lets you target specific people based on their online location. If you want to find potential customers in a specific location, (ie - your local area) you can add this tool to your social media plan! The best part about geo targeting is that it’s super easy to implement and you don’t have to be an expert to use this tool. Another online marketing tool great for local businesses are directory listings. Sites like Yelp, YP, Yahoo Local, and Bing allow businesses to provide local-specific messages. Offering information that’s specific to a local search allows businesses to target the right audience. You can also donate some items or services to contribute to an event as a way to give the attendees a free look into your business! A really nice way to combine your online and offline efforts is through local influencers and magazines. These outlets are geared specifically to certain local communities. Many magazines have online and offline content available, and influencers regularly partner with businesses to promote goods and services they trust and enjoy. It’s always better, together! Give your customers a reason to bring a friend next time they come in to visit. You can offer discounts such as buy-1-get-1 offers. Many businesses incentivize their customers to bring more people by offering them discounts on products or services they are already spending money on. Plus, bringing a friend is fun! People love sharing their favorite spots and being able to get offers and discounts from doing so.